Next cooperation directions between Ukraine and the EU in agricultural sphere were discussed during the meeting of the Deputy Minister of Agrarian Policy and Food of Ukraine for European Itegration Vladyslava Rutytska and representatives of the Federal Ministry of Food and Agriculture together with the Head of the EU policy, International cooperation and fisheries Department, German Jeub. Vladyslava Rutytska noted that the Ministry is implementing the program "3+5" and focuses its attention on the key develompent directions of the agricultural sector at the moment. Among them are governmental support of agrarians, organic production, extention of the market and food safety. 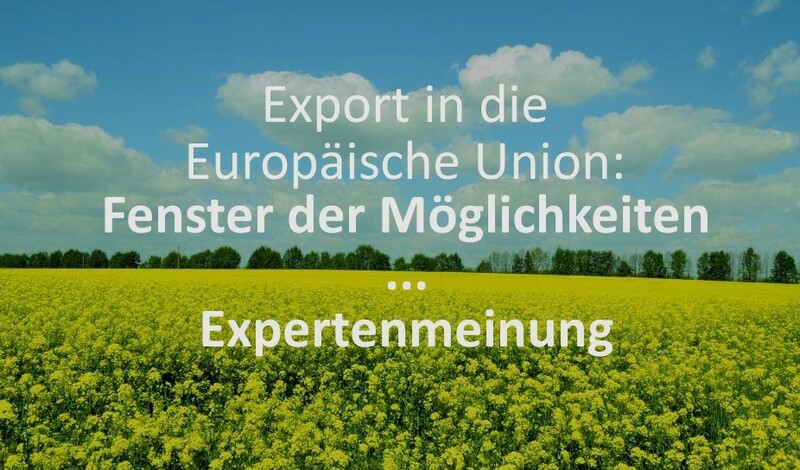 The Deputy Minister pointed out the necessity of more intensive biliteral trade and reminded of the visit of Parlamentary State Secretary Peter Blaser during the official opening of the projects "Agritrade Ukraine" and "Agricultural Demonstration and Learning Center" in May. During the Federal Ministry visit was also signed the Protocol of Intent for implementation of the project "German-Ukrainian cooperation in organic agriculture"